Packers and Movers in Secunderabad and Hyderabad. The Professional Service Providers For Relocating Your Offices, Houses And Personal Cars While Shifting Within City Or Anywhere In India. We Cover The Goods With Proper Insurance Before Move And Assist To Get Proper Insurance Policy to Our Customer. In the modern world, the need to move goods from one place to another in a safe and secure manner has led to a significant rise in demand for professional packers and movers. 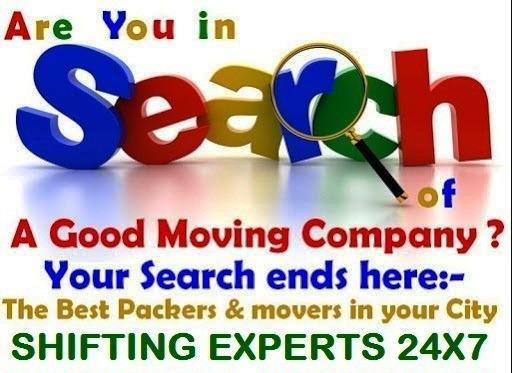 "Shifting Experts" is amongst the top rated packers and movers, well known for offering reliable and affordable packing and moving solutions to a wide range of clients. We offer our services to individuals, corporate organizations, as well as businesses of all sizes. In addition, to offering our services as packers & movers, we also have offices in other small and big cities across India. Our team of hard working and well trained staff is experienced in packing, handling and transporting a wide variety of goods, with zero or minimal damage. The uses of latest tools and equipment by us ensures that our services are not only offer the satisfaction of international quality standards amongst packers and movers but also ensure the timely and safe delivery of goods. When it comes to packers and movers definitely offers a wide choice, but when it comes to choosing the best and the most affordable, "Shifting Experts" is the most excellent option. So contact us today and take advantage of our diverse services offered at a reasonable price. "Shifting Experts 24X7" Packers and movers is a company committed towards providing high quality and timely services to our clients.